A beautiful cushion can make an ordinary couch look spectacular! 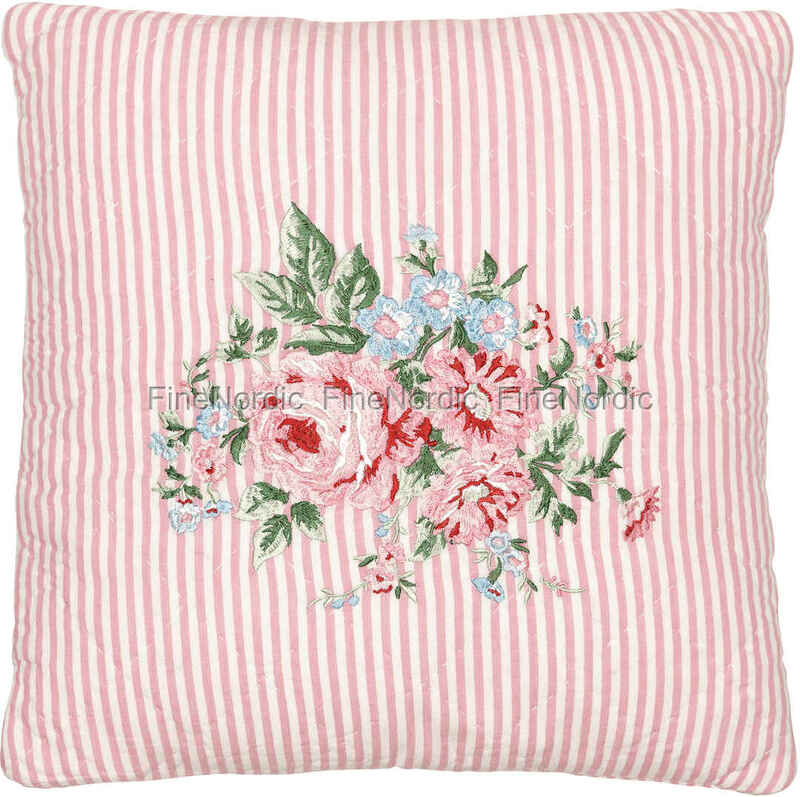 Just like this Marley Pale Pink Cushion Cover from GreenGate. The front and back side each have a pink striped background, and on the front, you can also see a beautiful embroidered bouquet of flowers. The very detailed bouquet consists of different shades of pink and also of the colors green, red, white and blue. Once again GreenGate has succeeded, with a beautiful combination of colors. The backside of the cushion has the GreenGate label sewn on it. There is a zipper along the top of the pillow so you can easily stuff it with fitting pillow filling. (40 cm x 40 cm pillow filling can be purchased separately in our web shop.) Dress up your couch or favorite armchair with this fantastic looking cushion cover from GreenGate.